The LOOKUP Function is categorized under Lookup and Reference functions. The function performs a rough match lookup either in a one-row or one-column range and returns the corresponding value from another one-row or one-column range. While doing financial analysisFinancial Analyst Job DescriptionSee a real Financial Analyst Job Description including all the skills, experience, and education required to be the successful candidate for the job. Perform financial forecasting, reporting, and operational metrics tracking, analyze financial data, create financial models, if we wish to compare two rows or columns, we can use the LOOKUP function. It is designed to handle the simplest cases of vertical and horizontal lookup. 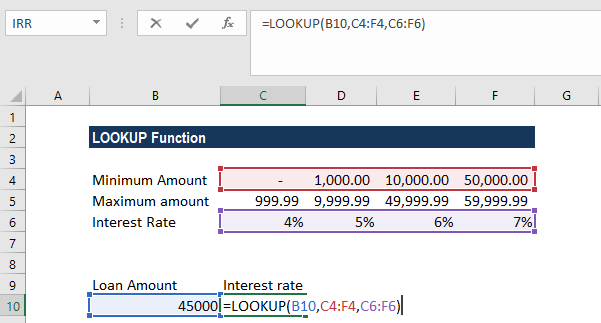 The more advanced version of the LOOKUP function is HLOOKUP and VLOOKUP. There are two forms of Lookup: Vector and Array. The vector form of the LOOKUP function will search one row or one column of data for a specified value and then get the data from the same position in another row or column. 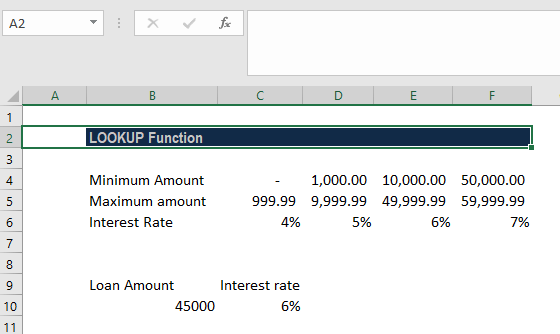 Lookup_value (required function) – It is the value that we will be searching. It can be a logical value of TRUE or FALSE, reference to a cell, number or text. Lookup_vector (required function) – It is the one-dimensional data that we wish to search. Remember, we need to sort it in ascending order. Result_vector – It is an optional one-dimensional list of data, from which we want to return a value. If supplied, the [result_vector] must be the same length as the lookup_vector. If the [result_vector] is omitted, the result is returned from the lookup_vector. The array form of LOOKUP looks in the first row or column of an array for the specified value and returns a value from the same position in the last row or column of the array. We need to use this form of LOOKUP when the values that you want to match are in the first row or column of the array. Lookup_value (required argument) – It is a value that we are searching for. Array (required argument) – It is a range of cells that contains text, numbers, or logical values that we want to compare with lookup_value. 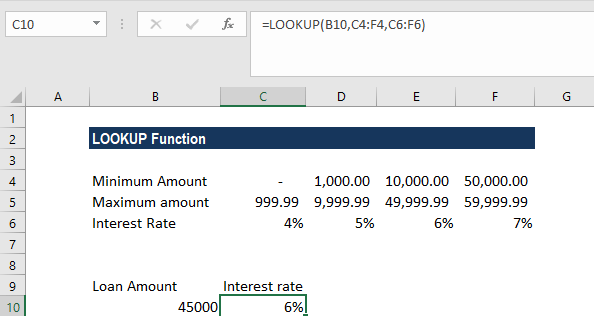 How to use the LOOKUP Function in Excel? Assuming we are given a list of products, color, order_id and quantity. We want a dashboard where we put the product and then we instantly get the quantity. The lookup_vector (or first column/row of the array) is not in ascending order. Cells being deleted after the Lookup function have been entered. Relative references in the Lookup function that have become invalid when the functions have been copied to other cells.